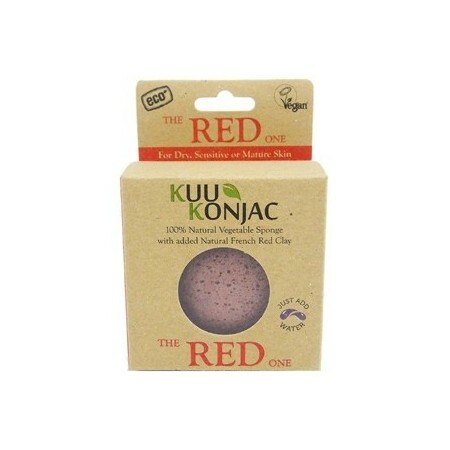 KUU Konjac Sponge with French red clay for dry, sensitive and or mature skin. It is naturally alkaline to balance the acidity of the skins impurities and oils. 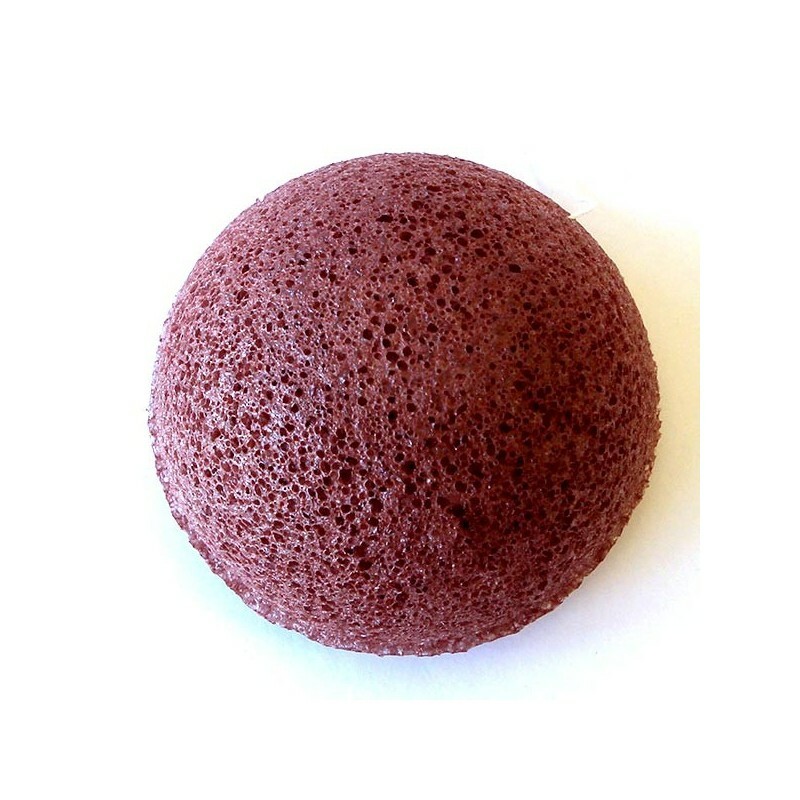 The red clay sponge is loaded with iron oxide. 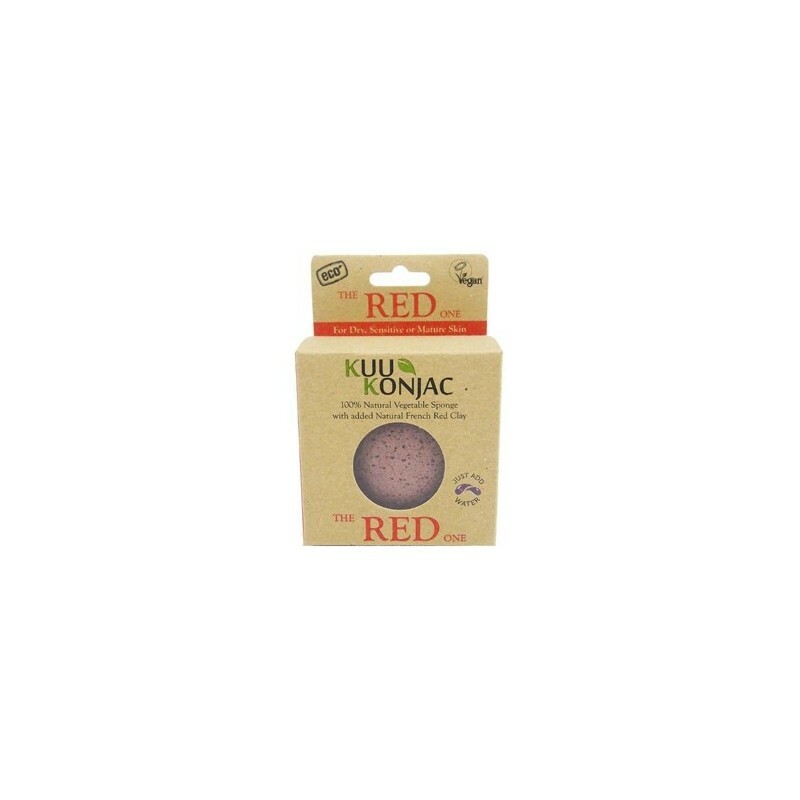 This sponge deep cleanses and exfoliates the skin from the layers of dead cells and accelerates the regeneration process to leave the skin hydrated and looking radiant and leaves a soothing effect on irritated, sunburnt and sensitive skin. It can also help with rosacea. Ideal for mature and or dry skin that needs rejuvenating. 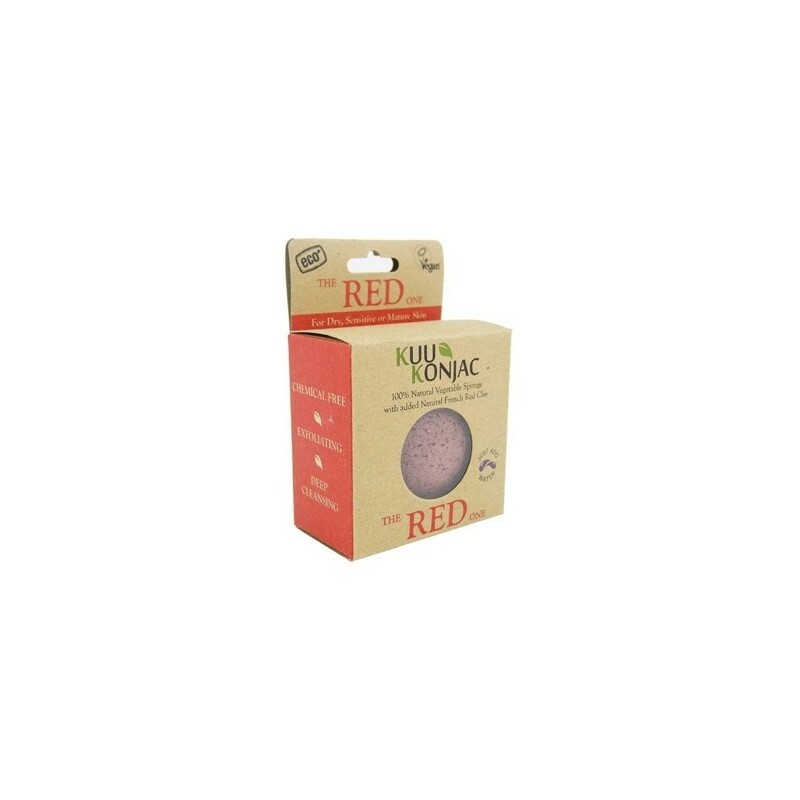 Reduces the appearance of fine lines and broken capillaries. 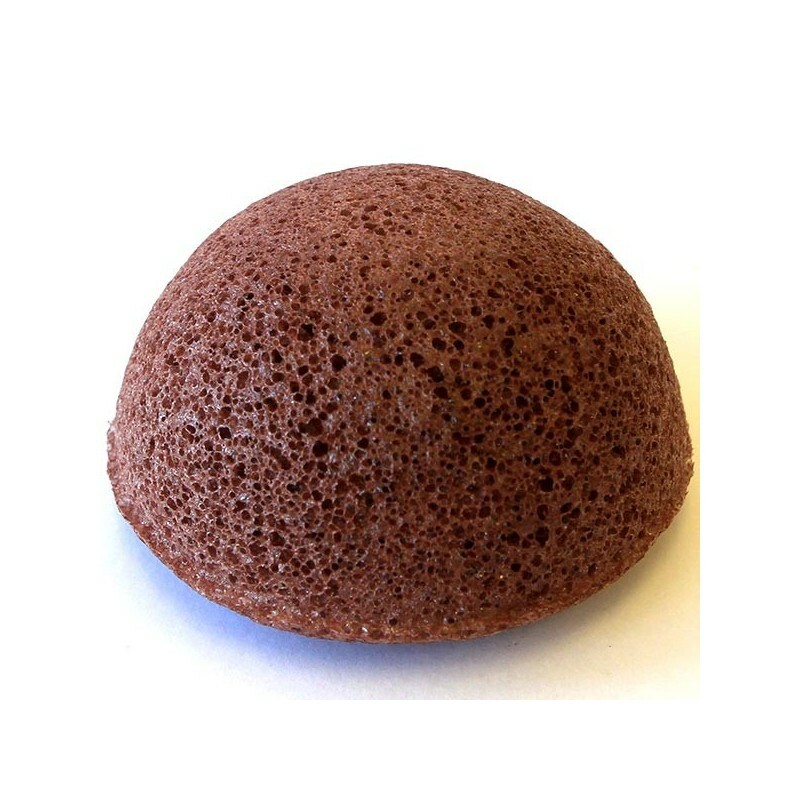 The red clay sponge is loaded with Iron Oxide. For mature and/or dry skin. 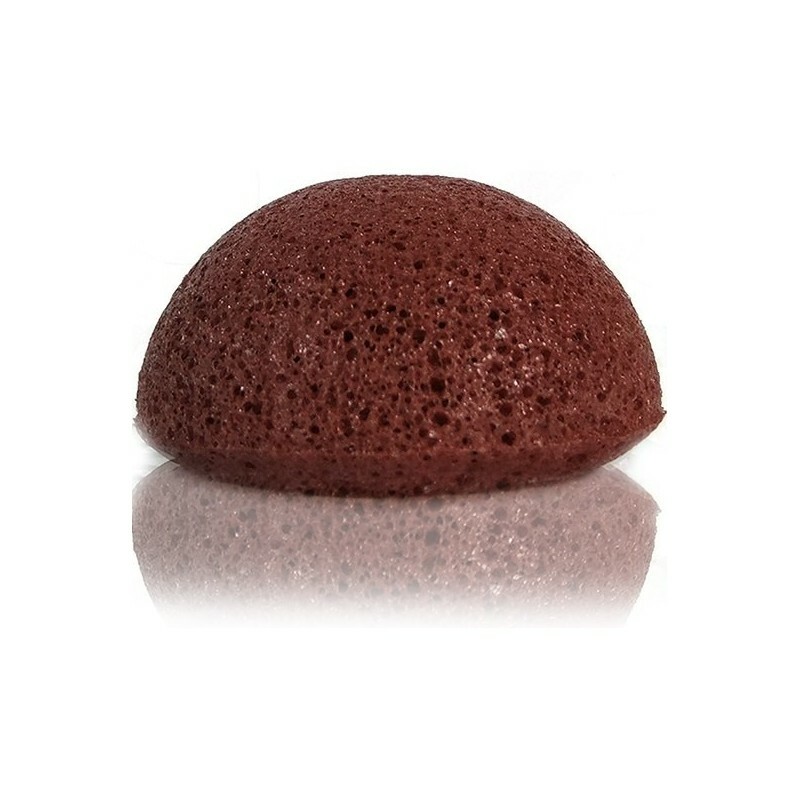 This is the third time i've ordered the french red clay sponge and I love it. I use it in the mornings with warm water to wash my face. Feels great! I was a bit sceptical of this sponge after reading about them online. I have very sensitive skin and keratosis pilaris (chicken skin) on my upper arms. After using this sponge for just under 2 weeks my skin feels so soft and I have noticed less redness on my upper arms. I use mine with a small blob of cleanser or just with water. I have found in the past that other exfoliators are too abrasive but this seems to remove all the dead skin without causing harsh red marks like I have experienced with non-natural exfoliators. Great sponge loved using it. Cleans and it's gentle.